RB26DETT is a famous Nissan motor, production of which was launched in 1989. Initially, it was designed for Nissan Skyline GT-R R32, but was also applied for Nissan 300ZX and 350Z, Ford Mustang, Infiniti G35 and some other automobiles. Unlike RB25DET, this engine utilizes cylinder block with no oil port. It features crankshaft with piston stroke of 73.7 mm, similar rods to the ones applied for RB25DET NEO, 1mm lower pistons and compression index of 8.5. Aluminum head covers cylinder block with twenty four valves without variable valve timing system. Camshafts keep duration 240/236 degrees and lift 8.58/8.28 mm. Solid lifters replaced hydraulic ones. Intake valves’ size is 34.5 mm, while exhaust ones are 30 mm. Six individual throttle bodies with 45 mm diameter were utilized for intake system. Engine’s firing order is 1-5-3-6-2-4. Two Garrett M24 turbochargers with ceramic impeller help air to get into intake manifold. Boost pressure is 10 psi (0.7 bar) while fuel injectors are 444 cc/min. RB26DETT achieves 280 hp at 6,800 rpm and a torque of 353 Nm at 4,400 rpm. RB26DETT Black Top motors were employed for Skyline GTR R32 and R33. 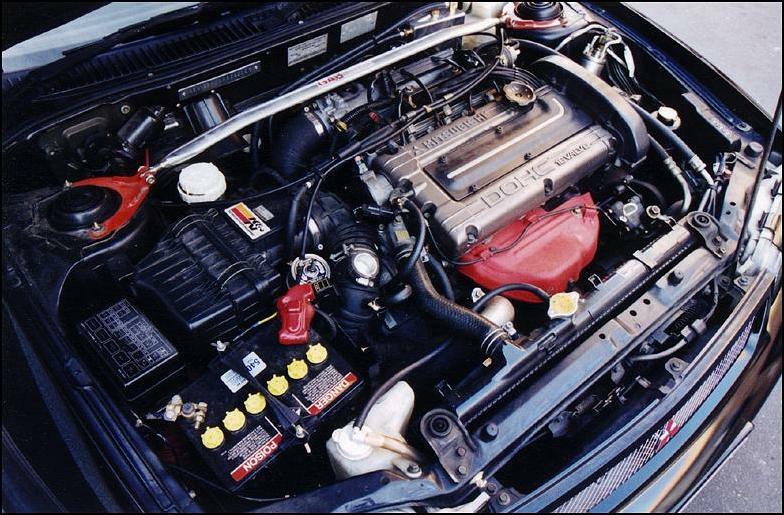 Simultaneously, RB26DETT Red Top motors with Garrett M24 turbochargers were utilized for Skyline GTR R34. In addition, RB26DETT Gold Top existed and was a part of Skyline GTR R34 Nur. Moreover, a sport variation of motor, RB26DETT N1, was released. It gained modernized 24U cylinder block with upgraded cooling system, stronger rods, pistons, restyled manifold plus Garrett M24 turbocharger with steel impeller. Besides, it got a fresh water pump and refined oil pump. Later, N1 was discontinued and its genuinely sporty version, VQ30DETT, appeared. In 2002, this engine stopped to be produced. In 2007, it served as framework for VR38DETT engine, employed for Nissan GTR R35. Along with RB26DETT, Nissan RB range consisted of RB24S, RB25DE/DET, RB20DET/RB20DET and RB30S/E/ET motors. This motor is known for its durability and reliability. Its first variations for Skyline GT-R R32 had non-productive oil pump and troubles with high oil consumption were rather common. However, RB26DETT N1 had a better pump and it can be applied for its standard modification. Problems with fuel ignition are usually caused by malfunction of ignition coils. It’s advisable to acquire fresh timing belt after every 60,000 miles (90,000 kilometers) run. Though it’s a sport motor, it may have pretty long lifespan. If you maintain it, use only high-quality oil and refrain from making any updates for better efficiency, engine will serve for a long period. But if you buy this motor for fast driving and are going to make some upgrades, the durability will reduce. After release of RB26DETT and 2JZ GTE, there were many speculations on what engine was more efficient and durable. Moreover, still, many experts argue on this issue. Let’s see what differences these motors have. 2JZ GTE has good oil cooling channels, efficient oil pump, stronger pistons, finer cooling and intake systems. Its non-VVTi modification is provided with MAP sensor instead of MAF one. That makes it more secure. The other pluses of motor include cool electronics, good quality spark plugs and more affordable performance details. OEM turbochargers of 2JZ GTE allow reaching higher performance. RB26DETT achieves high rpm faster and features a shorter piston stroke. As it was designed for Nissan Skyline cars only, this motor is rather rare. Unlike 2JZ, employed for a wide range of vehicles, this one will make everyone feel as if he/she was an owner of a really precious and unique thing.